Red chilli powder can set the taste buds on fire, and sometimes the tummy too! It is basically a spice blend consisting of one or two types of dried red chillies that are ground and pulverized into a fine powder. It is generally used to add spice to otherwise bland foods. • Read the labels before buying. • As far as possible, avoid those that vaguely mention free-flowing agents or preservatives in the ingredient list, because pure chilli powder without such additives is easily available in stores, so you can do away with these added chemicals! • Make sure you buy from a trusted source because the possibility of contaminating red chilli powder with other powders, red food colour, etc., is high. • Check the seal of the package and the use-by date. 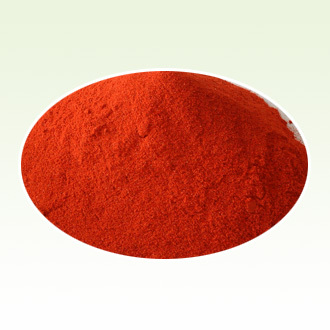 • Chilli powder is commonly used in Indian cuisine to make foods spicier. • Used it moderation it adds a lovely red glow and sharp flavour to dishes without making it unpalatable. • Include in any pot of beans or with baked corn and casseroles. • It can be used to make marinades for paneer or sliced vegetables. • It adds a wonderful spicy touch to tomato-based sauces. • Chilli powder has a long shelf life. • Store away from light and heat in airtight containers. • It will remain fresh up to two years. • Chunks of asafoetida can be added to retain its freshness.